The flagship learning forum, with the theme of Defying the Future: Frontier Solutions for a Changing World, was held at the World Bank headquarters in Washington DC from March 4 to 15, 2019. Given the WCA President Song Zhiping’s leadership in the global cement industry and recent focus on climate change, the World Bank, the IFC and the MIGA invited him to participate in the event Energy and the New Climate Economy: Transforming Hard to Abate Sectors. London, 5 December – The World Cement Association has said it expects global cement demand growth to slow next year, as the positive outlook and signs of recovery seen in the second half of 2016 have started to fade away in the face of rising downside risks emerging in Q2 2018. WCA forecasts that in 2019 world cement demand will grow by 1.5%. China’s dwindling needs are a significant factor, but even excluding this, overall demand will only rise by 2.8% in 2019, lagging the levels of global economic growth anticipated by the IMF. Escalating trade wars between US and China and its disruptive spill-over impact cause a serious setback for the global growth. Economic growth expectations have deteriorated in developed markets on the back of higher trade costs and tightening financial policies, as well as in major emerging markets due to higher borrowing costs, vulnerable exchange rates and reduced capital inflow. In 2019, the WCA expects the US cement market will grow at a moderate pace, around 3% lower than that seen in 2018, after upside associated with the Trump administration’s large infrastructure investments has failed to materialise. London/Beijing, 19 November 2018 - The World Cement Association (WCA) announced today the opening of its World Cement Association Beijing and President’s office. The facility will be an addition to the association’s headquarters in London and will be located at the building of China National Building Material Group (CNBM). The WCA will hold its General Assembly and WCA World Cement Conference in association with Intercem at the Royal Garden Hotel in London on 5 December. 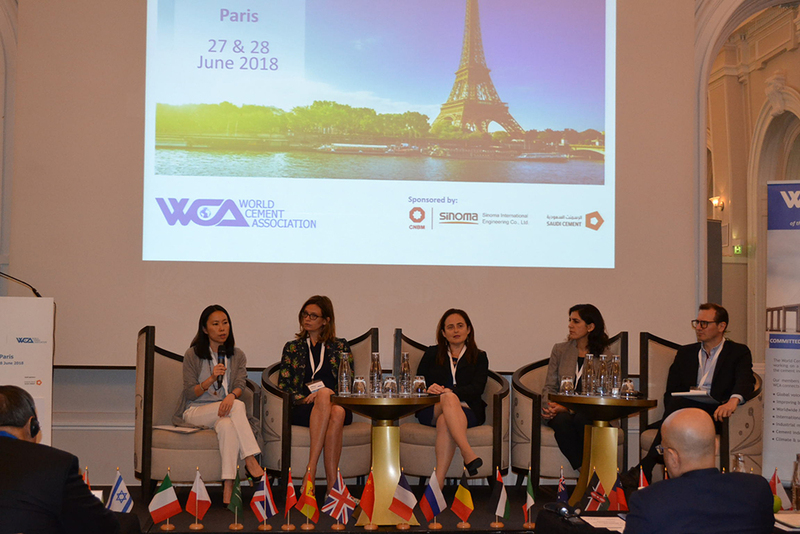 WCA members and stakeholder will come together to discuss future challenges for the industry, such as digitalisation, demand and supply and climate change. Registration is now open, for more information visit: http://www.worldcementassociation.org/ga. London, 22 October – The World Cement Association (WCA) today releases the WCA Climate Change Action Plan, the association’s manifesto for delivering its contribution to the objectives of the Paris Agreement to keep the global temperature rise well below two degrees. The Action Plan outlines measures to help WCA members develop climate protection strategies and develop best practice. The full details of the plan will be presented in London at the WCA World Cement Conference on 5th December, in association with Intercem.